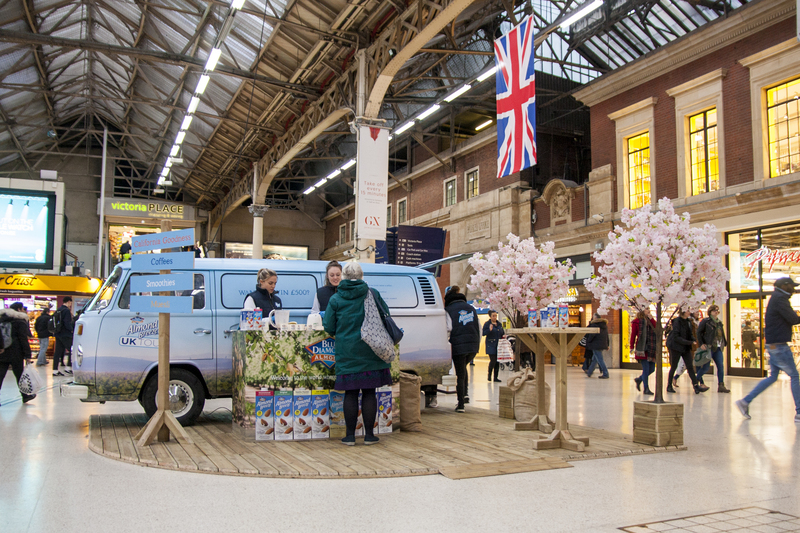 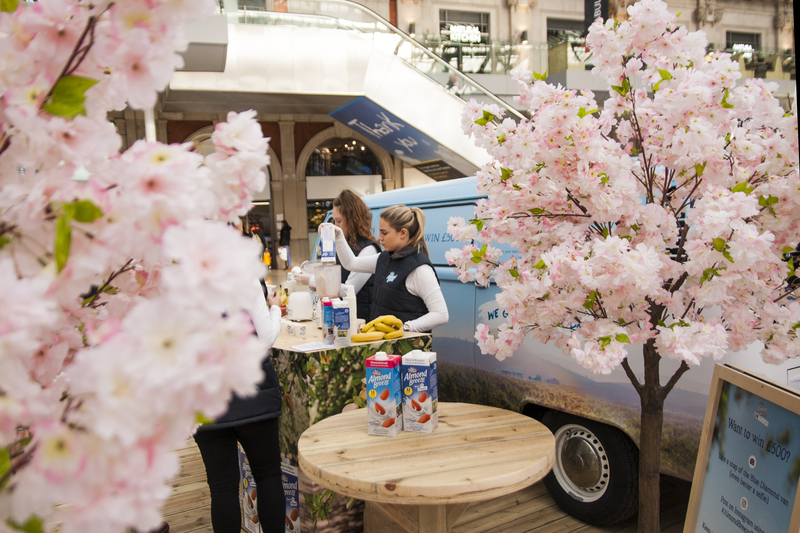 Blue Diamond commissioned Highjam to bring their California Almond goodness to consumers across the UK with 20 stop tour visiting the nations busiest and best Train Stations and Shopping Malls. 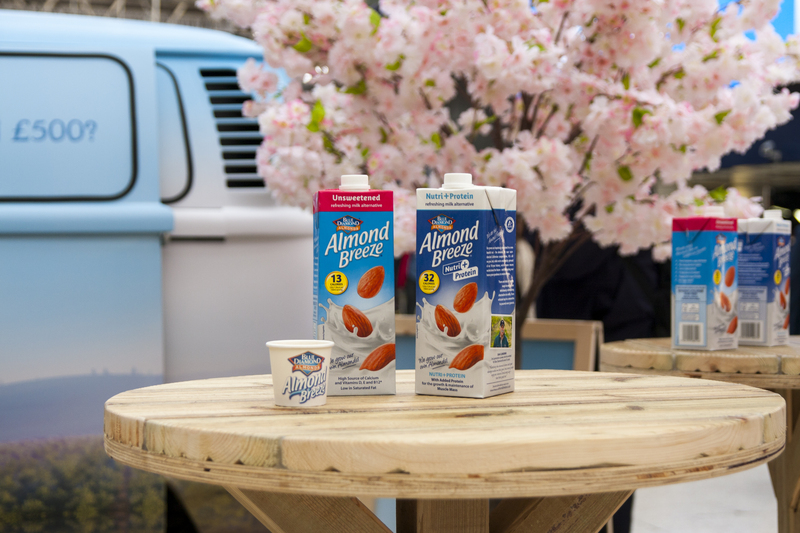 We offered consumers the chance to try Almond Breeze Almond Milk in coffee, with muesli and as a smoothie to demonstrate the product’s versatility and to overcome any taste preconceptions. 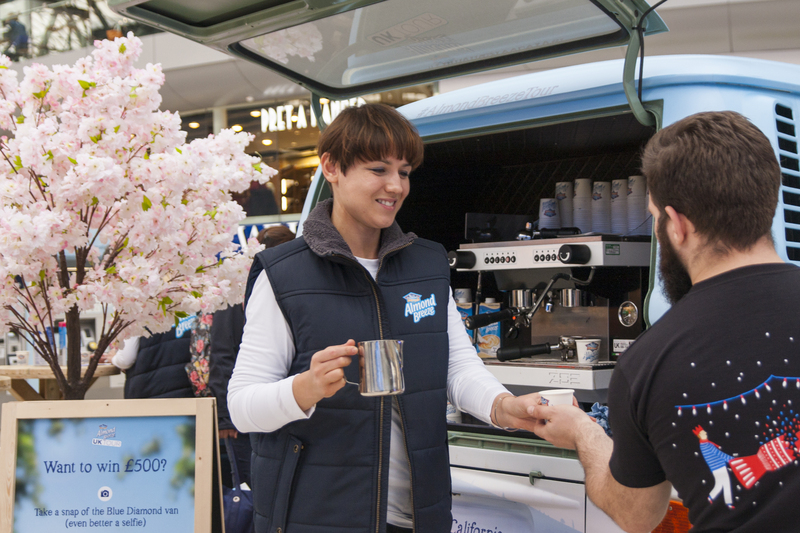 Our Californian set included a branded VW camper van, almond blossom trees, sampling counter units and full professional barista coffee station all complying to strict Shopping Mall and Station health and safety regulations. 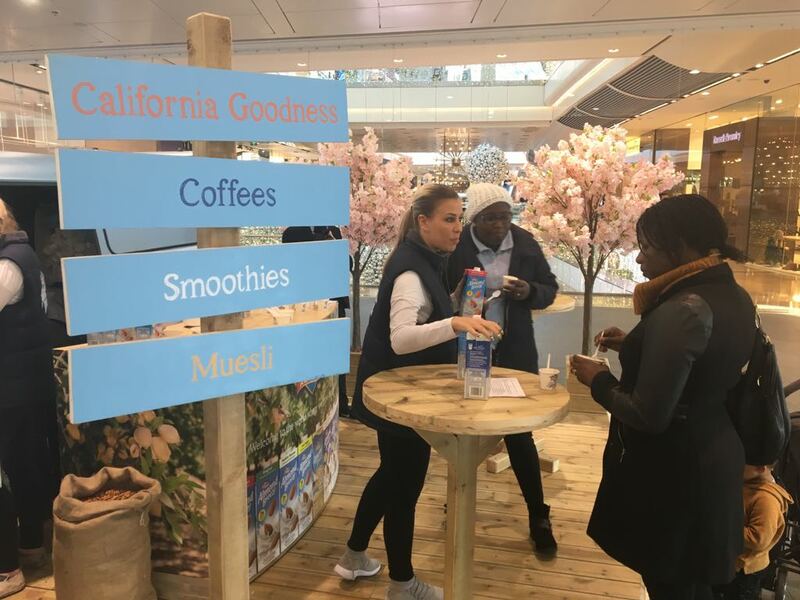 The staff were selected to reflect our healthy Californian lifestyle and all trained on the four variants that were being sampled.